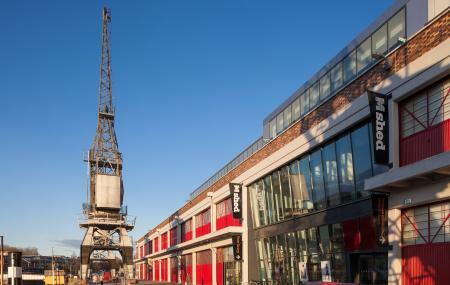 M Shed, Princes Wharf is a great way to know the history of the destination and hence the museum is a social science one where you can learn about the people of Bristol and their way of life. The museum is free for travellers and is an innovative way to know more about the whole destination. The whole look of the exhibition is very innovative and colorful and exhibits the detailed history of the people. On Foot: Located on the harborside it is a 5-10 minute walk from the city center. By Boat: You can catch a ferry from Bristol Temple meads to Prince Street which is just 5 minutes from the place. By car: You can reach here by taking the city Centre on Wapping Road (BS1 4RN). By train: It is a 20 minute walk from Bristol Temple Meads train station to the location. By bus: Take a bus from anywhere in the city and will get you till Broad Quay which is only 5 minute away from the place. How popular is M Shed, Princes Wharf? People normally club together Brunel's S S Great Britain and The Clifton Suspension Bridge while planning their visit to M Shed, Princes Wharf. Excellent free museum, do give a donation at rhe door though, it's really worth it! Lots of things to do for all ages and abilities. Overlooks the floating harbour and has a great coffee shop, what more do you need! Very child friendly. I was at the M Shed for the Wildlife Photographer of the year 2018 exhibition which was fantastic as always. It's a great venue with friendly and helpful staff and wonderful exhibitions. It also has lovely views of the harbour and is close to lots of great restaurants and cafes. Best place to park if you can get a spot is Wapping Wharf right behind it. Family friendly and awesome history for all to acknowledge. .our part in the history of slave trade...we must learn. ..then lovely exhibition of Bristol carnival....the public can start to feel they are putting the past firmly behind them...with Brexit looming let us not make the same mistake please! Great place to visit. Cafe is over priced tho. Loved all the exhibits and staff there to help you if needed. Really interesting exhibits of life in Bristol. We were lucky today that the steam train was running and we got to have a ride up to the SS Great Britain.